Acne, blemishes, and skin injuries leave with them an unsightly reminder of what your skin has been and gone through. Post-inflammatory hyperpigmentation (PIH) usually follows after the wound or inflammation has healed, leaving flat, discolored spots, which can be pink, red, or brown in color. While all skin types can get PIH, it is more common to those with darker skin tones. Having this type of pigmentation can be detrimental to self-confidence, especially when it covers a large area of the skin and looks quite noticeable. Increased melanin is the root cause of post-inflammatory hyperpigmentation. 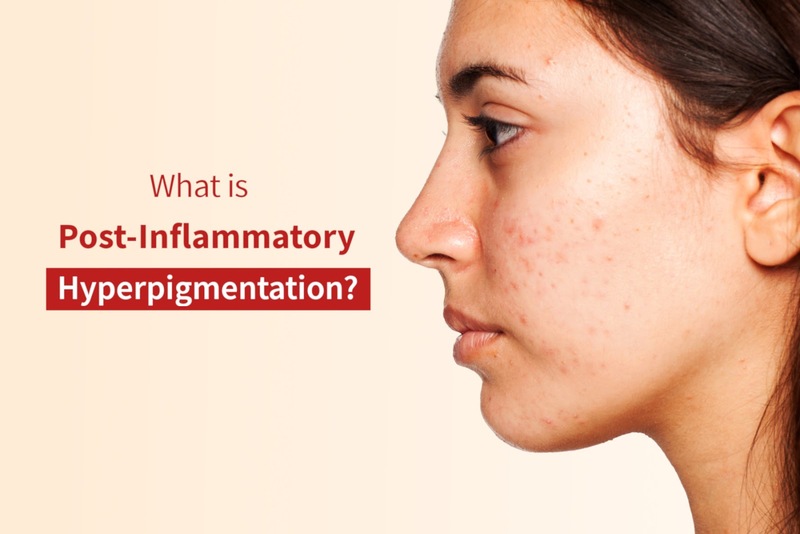 Inflammation or trauma to the skin triggers the release of inflammatory cells, which then causes the pigment-producing cells (melanocytes) to release more pigment. This then discolors the inflamed area and can stay there even after the wound has healed. Acne is the most common cause of this pigmentation, but it can also occur due to a burn, injury, or skin conditions like eczema or psoriasis. Incorrect use of skin treatments like chemical peels, dermabrasion, and laser therapy can also contribute to the appearance of PIH. Bigger or severe inflammation results in a more prominent size and color of hyperpigmentation. If the PIH, for instance, is caused by acne, popping or picking the pimples can aggravate the appearance of dark spots. The habit can make your acne scars worse, as it creates more inflammation and prolongs the healing process. What can trigger and aggravate PIH symptoms? Sun exposure may not cause PIH, but it can trigger and worsen its appearance. It can darken the patches and prolong the time it can take for them to lighten or fade. It is also important to know that prolonged sun exposure (without sun protection) is related to other types of skin pigmentation like melasma and age spots. How can I reduce or remove PIH? It is likely for post-inflammatory hyperpigmentation to improve over time even without treatment. However, the rate and duration of recovery varies from person to person and depend on the degree or severity of the discoloration. If the color of the spots is so far away from your natural skin tone, recovery is likely to be longer. Slathering on sunscreen and limiting the amount of time you spend in the sun can reduce the severity of PIH. It is also a good idea to consider the following non-invasive skin treatments that can help you achieve clearer skin. Just be sure to consult a certified aesthetic doctor for proper use or administration of the treatment. Chemical peels work by peeling the superficial layer of the skin to rebuild collagen and promote cell growth regeneration from the deeper layers of the epidermis. They are ideal for treating acne, fading mild scars, and evening out discoloration, which then improves the overall appearance of your skin. At Cutis Laser Clinics in Singapore, we offer a number of chemical peels to lighten your discoloration. One good option is the VI Peel, which is a medical-grade solution that can reduce or eliminate age spots, freckles, and hyperpigmentation, as well as clear acne skin conditions, and soften lines and wrinkles. You can check out our previous blog to learn more about the type of chemicals peels and what they can do to your skin. This US FDA-cleared device helps you deal with, wrinkles, sun damage and other skin concerns like hyperpigmentation and acne. It treats the dermis and the epidermis of the skin to improve its overall quality. It also provides “stem-to-stern” rejuvenation in less than a week. Pearl uses pulses of light directed at the skin’s surface to remove a portion of the pigmented and sun-damaged skin. This causes the skin to produce a natural protective dressing, which will peel off after five to seven days. This reveals a brighter and healthier-looking skin with a “pearly” glow. Limelight uses an FDA-cleared “intense pulse light” technology to treat dark spots, freckles, and pigmentation. It can be used on any part of the face, neck, and décolleté with skin redness, dark spots, as well as tiny facial veins. Light brown spots, which were previously difficult to resolve, also respond very well to Limelight. This works by delivering pulses of light at the skin. It targets pigmentation, which draws out spots on the skin’s top layer. This will then scab and fall off after five to seven days. Darkening of the spots is normal after the procedure, but it will soon get better after a few days, revealing brighter skin. Check out our previous blog and learn how Limelight can help remove freckles and brown spots. Achieve a clearer, brighter glow with these hyperpigmentation solutions. Contact Cutis Laser Clinics in Singapore and schedule a consultation without Harvard-trained aesthetic doctor, Dr. Sylvia Ramirez, to determine which hyperpigmentation treatment works best for your skin type and problem.